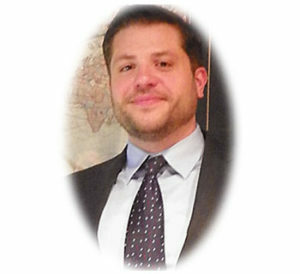 Alexander B. Russin, Esquire, is a lifelong RBO member, who has attended various RBO Conventions. Alexander is a 2005 graduate of Temple University in Philadelphia, where he majored in Political Science, focusing his studies in American Government. Alexander graduated from Widener Law School in 2013. While attending Widener Law School Alexander was a member of the Trial Advocacy Honor Society, a research assistant for a forthcoming Sports and Inequality Textbook, as well as an Academic Support Fellow providing advice and help to struggling Law School Students. Alexander is married to Alison Russin. Alexander and Alison have two daughters, Julia and Caroline and a son, Oliver. Alexander enjoys the Philadelphia Phillies, listening to music, and spending time with his family.